You’ve dreamed the dream, you done your research, you’ve fine tuned your craft, you created your vision board, you’ve written out your plan…. But you’re still waiting. You’re still waiting for the perfect time, for the right number of followers, for the perfect offer, for the most beautifully designed website, for the best idea, for a bigger email list, for the certification to be complete, for the next external validation to tell you the time is now…. Guess what? There will never be the perfect time, right number of followers, the right amount of money, or the best plan. The number one thing that you can do to achieve success is to start. To start RIGHT NOW before you are ready. Take messy action and be okay with it. Here’s what happens once you act; you gain momentum. Momentum is the fuel you need that will propel you to continue to take inspired action. Will it be perfect, no. Will you be an overnight success, no. In fact, most “overnight success stories” are 5-10 years in the making! Take action, follow up, make adjustments, take action, follow up, adjust and repeat. The best kept secret to achieving success is YOU. It’s you TAKING ACTION time and time again BEFORE you are ready. Right now, in this very moment, I want you to pick that one that scares you the most, that one thing that you have been planning for months, that ONE THING will be the momentum you need in order to achieve success. If you are thinking about what your ONE THING is right now, I am calling your BS. It’s that thing that you are ignoring right now, that’s your thing- pick that! Stop waiting for the perfect idea, all the stars to align, or the right time. Let me tell you, there will never be one. Take action, get started, take that first step towards success today!! Still feeling stuck? I’d love to offer you a FREE 30-Min Coaching Call! We’ll get you from stuck to taking action and achieving success! Click here to send me your info and get your call scheduled ASAP! Carmen has helped hundreds of individuals create sustainable health habits and complete mindset changes. Carmen’s caching programs and in-person events allow people to discover, learn and grow, while making lasting life changes. Carmen has a unique ability to connect with diverse audiences and inspire them to take action so they can live their best lives. Carmen lives in the beautiful state of Colorado with her husband. 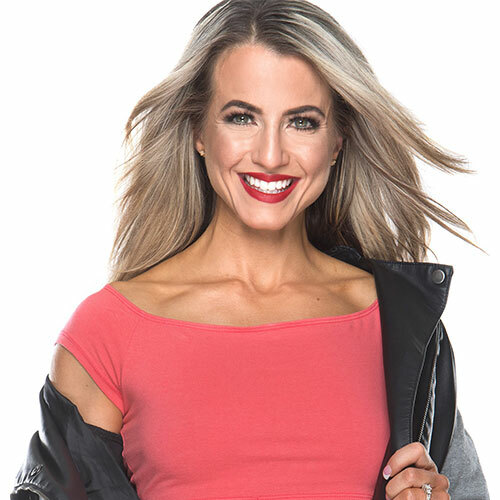 She is a sought-after local nutritionist, an NPC bikini competitor, and avid traveler and a lover of coffee, almond butter and an occasional spicy bloody mary.